This very handy and soft feel Party Time terry tea towel will brighten up your kitchen! 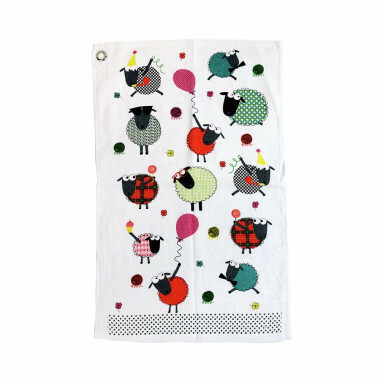 This tea towel features a nine colourful sheep with funny accessories design. Machine wash 40°. Drier not recommended.